Phytomer Cellulite Review (2018): Is This Product Worth Buying? Phytomer Cellulite Review: Is It Really Effective? Phytomer complete reshaping body care, US $70 for 150 ml, is a skin firming cream that promises to eliminate unwanted fats that cause cellulites and unwanted bulges to appear on your skin. This product is formulated and distributed by Phytomer Laboratories, a French skin care company that has been creating wonderful skin care products for over 40 years. Presently, Phytomer Laboratories products are being sold in over 75 countries around the world. Its products’ unique offerings include marine spring water and seawater, argued to be loaded with trace elements and minerals your body needs to become restored and rejuvenated. This product replenishes lost nutrients from your body to help restore normal skin functions down to the cellular level. Metabolism-enhancing ingredients help bring back the shapely and gorgeous contour of your body, ridding it of unwanted fats and excess fluids to give you a slim silhouette. 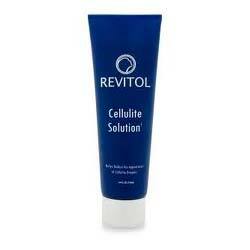 This product offers a multi-faceted solution to relieve your skin of pesky cellulites. Other than for vanity purposes, this product helps restore the healthy and proper functioning of your skin. This formula heals and relieves your skin from inflammations, giving rise to a revitalized skin and a more gorgeous body. This product appears to have been discontinued and is no longer available on major reseller sites. This product, as with other cellulite creams, do not have any real cellulite reduction capabilities as theses topical solutions cannot go down to resolve the root causes of cellulites. 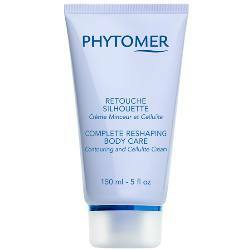 Phytomer complete reshaping body care reviews indicate that many customers were unsatisfied with the results. Phytomer complete reshaping body care must be applied on skin ideally after a fresh wash and periodic exfoliation. Vigorously apply generous amounts of the cream on problem areas to help enhance circulation and drainage. Use day and night, and complement with exercise for best results. Phytomer complete reshaping body care dare tell you that spring water and marine water can help relieve the appearance of your stubborn cellulites. Sadly, the manufacturer wasn’t too bold and daring to share more information to support those claims. Neither is there any study about product efficacy and potency to support claims made by the manufacturer. Yet, even then, there will only be cellulite procedures that can eliminate those unwanted fats and keep it that way for a long time.